Educating and Inspiring... heart, mind, body, and soul! 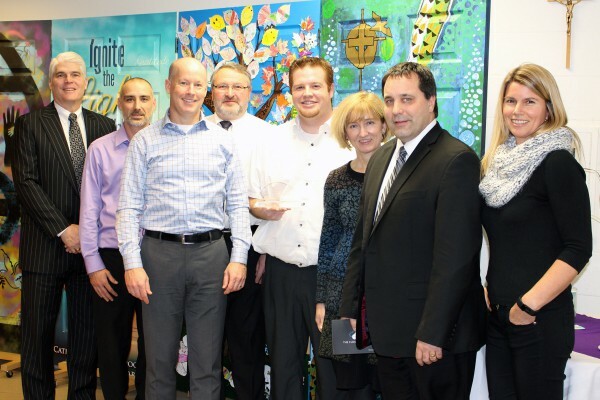 The Catholic District School Board of Eastern Ontario is proud to announce they have been recognized as a Canadian Cloud Leader by Microsoft Canada’s Cloud Society. The Microsoft Cloud Society recognizes top Canadian organizations who are early adopters of Microsoft Azure and are empowering Canadian businesses and communities to achieve more in a Mobile first, Cloud First world. Microsoft Cloud Services, namely Microsoft Azure, ensures that CDSBEO servers are always up to date, which guarantees Board students access to the most robust infrastructure at all times. Office 365, also a Microsoft cloud tool that CDSBEO has been leveraging to empower rich collaboration among students and teachers, and the accompanying OneNote tool, allows students to effectively capture their learning. In addition, Azure has enabled CDSBEO to have a comprehensive disaster recovery plan for a fraction of the cost. Microsoft Azure allows for more flexible and cost effective options for storage and virtual environments. Most significantly, however, the infrastructure is extremely scalable, which allows CDSBEO the freedom to adapt to any change instantaneously. The Canadian Cloud Leader crystal was presented to Catholic District School Board of Eastern Ontario on December 1, 2015. CDSBEO was selected based on their continuous investment and commitment towards cloud leadership. “This award recognizes the work of our Information Technology Department. They continue to provide an invaluable service for students and staff. We are so pleased to be partnering with Microsoft,” noted Wm. J. Gartland, Director of Education.